Growth marketing expert specializing in user acquisition and e-commerce. The days of “doing social” or having a “mobile strategy” are gone. No media channel exists in a silo - a customer’s journey is non-linear, it spans multiple platforms and touch points. In order to attract and retain customers, brands need to deliver the optimal user experience at all times and everywhere their customers are. They need to be nimble and human. This means doing away with platform thinking and putting the customer first. A deep understanding of customer needs and behavioral trends through quantitative and qualitative data is the way to create value every step of the way. Here is what I offer to help you win. 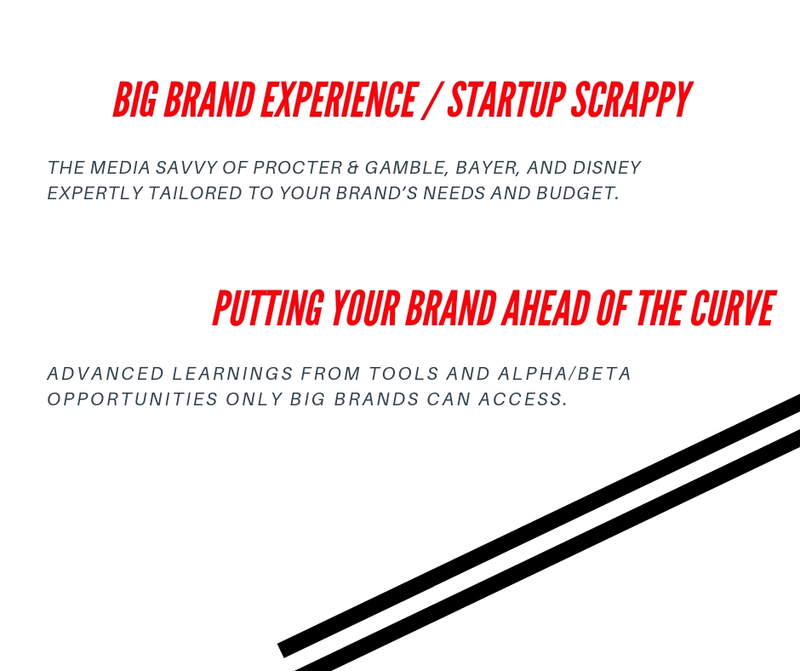 My simple yet comprehensive offering is aimed at growing your brand while saving you time and resources. Wave goodbye to agency red tape and weeks-long email chains and HELLO to bespoke attention and nimble execution. A typical campaign can be ideated and launched between 24hrs and 1 week allowing your brand to be nimble, taking advantage of real time trends and opportunities. Can creative insights inform holistic brand messaging? Goal: Drive e-commerce sales for a baby care startup. Challenge: in the age of Amazon and Target, 99% of sales occur on major e-retailer websites who don't pass on analytics data back to the advertiser. The challenge was to deliver ROI in an opaque marketplace while growing the brand. Created Lookalike audiences off site visitors and converters, segmented based on the search query, product, and on-site actions and targeted each audience with tailored offers on Facebook and Instagram driving to e-retailer sites. Goal: Maximize traffic to a publisher website delivering on strict CPC and ROI goals to support the ad-supported business model. Challenge: The highest-volume PPC keywords are also the most competitive, with distinct seasonal volume and CPC fluctuation. Identified keyword themes adjacent to the most popular ones achieving the balance of volume and cost. Mined 1st party and search query data tapping into rising consumer searches and uncovering high potential content. Implemented a device based bidding strategy geared at maximizing traffic and efficiency across mobile and desktop. Challenge: Fierce competition resulting in high CPC on non-brand keywords. Aspirational, image, and other searches without intent purchase. Approach: Mined on-site behavior and conversion funnel data to inform keyword strategy and bid optimization. Goal: Promote new high-profile show launch in tandem with the network re-brand. Challenge: Alter the audience’s perception of the Network and conquest new audiences relevant to the Network’s new direction and image. A rival network with a significantly higher budget launching a similar show same week. Approach: Developed and implemented an innovative long term tune-in strategy encompassing user acquisition, retargeting, and re-engagement at key moments which resulted in rapid user growth and increased efficiencies. Activated targeted media during relevant cultural events tapping into engaged fan communities as early as 6 months ahead of premiere and re-brand. Retargeting pool was consistently re-activated across key campaign phases with teasers in a variety of creative formats and content maintaining engagement while avoiding audience fatigue. Selective testing of experimental tools and Beta opportunities was key to rapid reach growth. Goal 1: Assist in website restructure with the goal of maximizing site engagement. Challenge: Balance maximizing content discovery (page views) and engagement (time on site). Leveraged site behavior, Google Search Trends and AdWords campaign data to surface the most useful content to main stakeholders; provided recommendations on ways to restructure the website to help patients and caregivers find what they need faster and easier. Goal 2: User acquisition and engagement across social channels. Challenge: Engage audiences while displaying sensitivity to diverse stakeholder groups, as cancer is a highly sensitive topic. Leveraged qualitative and quantitative 1st party data to identify high engagement content themes while steering clear of controversial subjects. Created social campaigns with a thoughtful approach to sensitive subjects in a highly regulated industry aimed at delivering true value to patients, prospects, and caregivers. 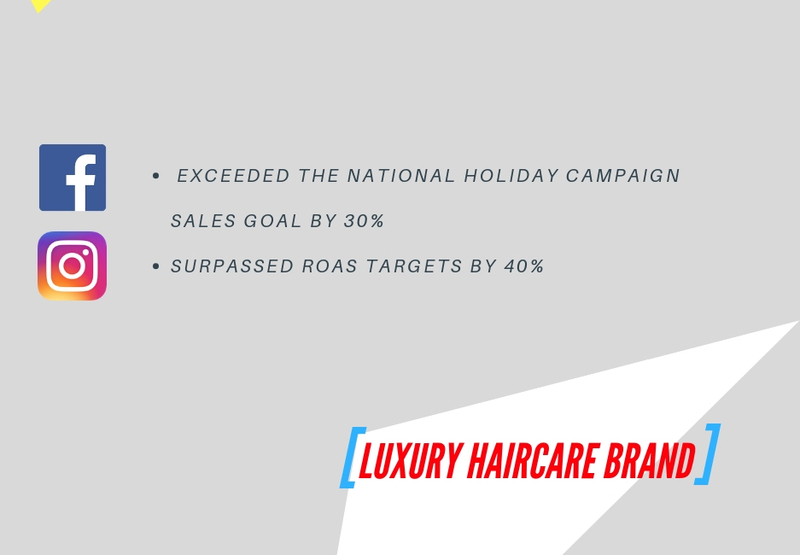 Goal: Deliver on strict Revenue and ROAS goals for the 2018 Holiday campaign. Challenge: A saturated vertical and low purchase intent among non-users added dimension to the existing challenges of driving efficiency and standing out from the crowd in the year’s most competitive marketplace landscape. Approach: Assigned unique acquisition goals to audience segments resulting in moving users down the conversion funnel throughout the course of campaign. A no-obligation comprehensive review of your current digital media activity. Includes industry and competitive context. Find out whether your media is optimized to achieve your goals.